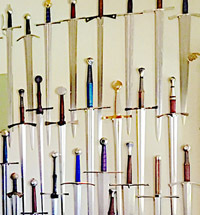 The William Marshal Broadsword (2000-GT) is in many ways representative of a typical one handed medieval knights sword. This should come as no real surprise as Sir William Marshal was himself one of England's finest and most loyal Knights, however there has been some discrepancies as to exactly how historically accurate this sword said to be a replica of his own really is. 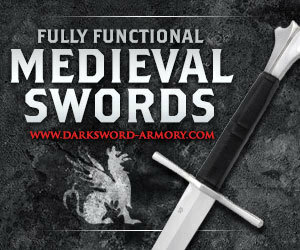 Indeed, in a review of this particular medieval knights sword over at My Armoury.com, the author Bjorn Hellqvist (who has handled firsthand the original blade it was based upon) has his doubts, noting many points of divergence from the original. Considering the price point of this medieval knights sword (typically around the US$250 mark, though with a recommended retail price of US$319) - and that Bjorn usually handles semi-custom made replica swords (unlike the William Marshal, which is a production piece), the reality is that this sword is actually pretty good value for money. For the average medieval knights sword enthusiast, the most common complaint about this sword (and the rest of the Hanwei Forges' line of medieval swords) is that while the blade is not quite as sharp as it could be. In this composite review we will be looking at it through the eyes of two SBG members who purchased it - one of whom will be comparing it to a much more expensive version of this famous medieval knights sword and explore a little more of the history behind it. This impression of plainness vanished upon drawing the sword, as the blade was beautifully polished, with the groove in the middle of the sword shined to a mirror finish, and once held in the hand it simply felt good to hold. The wrap of the hilt was extremely tight, even griping the sword and twisting my hand as hard as I could produced no movement of the wrap at all, and it possessed enough of a pattern that it was not likely to become slick to hold even with the sweatiest of palms. The pommel cap, while unadorned, blends nicely into the grip. The only complaint I'd have would be where the end was peened over to hold everything together, it is rough in feel and appearance, and seems almost like an afterthought compared to how well put together the rest of this medieval knights sword looks. I would have preferred a sharper edge on this sword, but my previous cutting experience is with a Katana, and I may be spoiled by having such a razor edge on my sword. That said, my wife once again lined up with our milk jug targets, and after the obligatory practice swings, made a sweeping stroke that produced one of the most beautiful hums I'd ever heard from a sharp shiny object as it parted the ambient atmosphere, and easily produced two plastic objects from one. She reported that she could feel more of an impact with the target than she did with the Sentinel, however given the greater thickness of the broadsword over the Sentinel I found this to be unsurprising. The Marshall easily performed a couple of more cuts on the milk jugs, and I decided to up the ante just a tad with this medieval knights sword. We had a couple of very narrow juice containers made with a much thicker and harder plastic than our previous victims, and I set one up. Some replicas of a medieval knights swords just don't cut bottles well. But that does not make them useless - many are very durable and do better on heavier targets. The blade made its glorious hum as it whipped through the air, impacted the bottle...and batted it across the lawn. At this point I feel almost obligated to make excuses for this sword, the target was pretty small, very tough, and my lady love is inexperienced in swinging a sword. On inspection of the bottle, the sword did cut into it, however the result was not what I'd hoped for from a blade that I'd honestly have no qualms about swinging at a tree stump. I like this sword, I really do, its failure to make that one cut aside, it is a beautifully constructed weapon, feels very tough and solid in the hand. I would still like to find a way to put a better edge on it if I could find a way to do so without fear of ruining the blade, and I do plan on having my wife try it on other targets some time in the future to see how it performs on something more solid than a water filled plastic container. 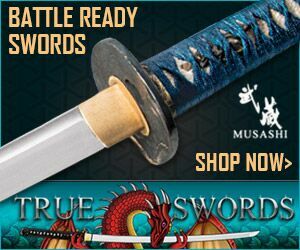 For someone who is into European weaponry and looking for a good medieval knights sword I would suggest this weapon, but for someone who is used to the unsurpassed cutting ability of some of the Katana out there I would caution them not to expect that same performance from this particular broadsword. Type X: Oakeshott describes the Type X as "A broad, flat blade of medium length (average 31") with a fuller running the entire length and fading out an inch or so from the point, which is sometimes acute but more often rounded. This fuller is generally very wide and shallow, but in some cases may be narrower (about 1/3 of the blade's width) and more clearly defined; a short grip, of the same average length (3 3/4") as the Viking swords. The tang is usually very flat and broad, tapering sharply towards the pommel. The cross is narrower and longer than the more usual Viking kind--though the Vikings used it, calling it "Gaddjhalt" (spike-hilt) because of its spike-like shape. Generally of square section, about 7" to 8" long, tapering towards the tips. In rare cases curved. The pommel is commonly of one of the Brazil-nut forms, but may be of disk form." Subtype Xa: Oakeshott created a sub-variant he named Type Xa. It has the same broad blade profile as the Type X, but the fuller is more narrower in width. The fuller maintains the same length running out to the tip as the Type X. Oakeshott felt the fuller difference was enough to create the subtype Xa. Background: The sword is loosely based on the sword known as A.459 in the Wallace Collection catalogue (James G. Mann & A.V.B. Norman: European Arms and Armour in the Wallace Collection, p. 242:vol.1, p. 113:vol.2) and in Ewart Oakeshott's Records of the Medieval Sword, p. 37. The sword is probably French, and was part of a private collection in the 1800s (Comte de Nieuwkerke). There is no evidence the original sword was ever owned by William Marshall. Impressions: It is very slightly blade-heavy, but not by much given the total weight of the sword. It does not have nearly the distal taper of the original or the Albion Oakeshott and the point of balance is much more as well. The pommel is almost half the thickness of the original. Taking all this in consideration, the Hanwei handles very well for me. The braided leather grip is comfortable, and the blade is very nice. 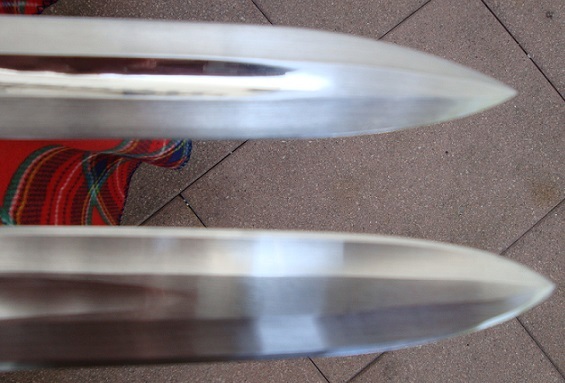 The pommel and guard are not magnetic and appear plated which is similar to other Hanwei medievals. The blade has a distinct fuller and hollow-ground sides, getting hexagonal in cross-section towards the point. 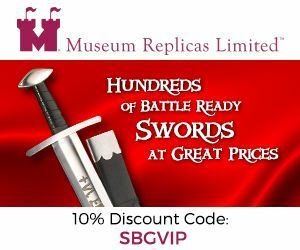 Summary: Hanwei claims the sword as an authentic replica of a museum piece and it is like many reproductions out there that take a liberal interpretation of historical swords. There is also no evidence the sword belonged to William Marshall. I like this sword and have kept it around. The sword is not on par with the Albion and Raven Armory versions but for the price, is a good sword in the sub-300 market. One of the things I do not like in the Albion version is it feels too light in hand for my tastes while the Hanwei feels good for me. Price of the Albion however is around $1000 more..
Pros: Unique blade design for a bargain price. If you don't like the fillings, you could consider customizing it Very comfortable and good looking grip. Has authority in hand. Cons: Typical what are they made of Hanwei fittings. I had to slightly touch up the blade edge but not much. 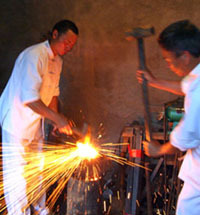 Blade finish is the usual Hanwei mercenary type. Rough peen. It is often said of this particular replica medieval knights sword that it is too 'blade heavy'. Some people like this, both of our reviewers did - though everyone who has bought one has noted it really need the edge to be touched up a bit (which is not hard, we have a ton of tutorials on various sharpening methods on SBG here) but others really dislike it. "The first thing they (Hanwei) did wrong was to make the point end of the blade too thick, IMO. It barely had 25% distal taper. The original sword it is supposed to be based on has 72% distal taper and is described as 'very lively in the hand" whereas I think the Hanwei William Marshall is WAY TOO point heavy and feels like it's sluggish and weighs much more than what the scales say." As such, it seems to be one of those swords that polarizes people - some love it, some hate it. 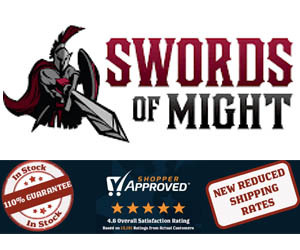 And we hope that with these three opinions and reviews, you should have enough information to decide if this is the medieval knights sword for you, or if you need to keep looking elsewhere. 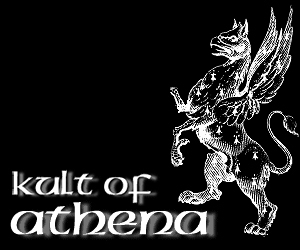 However, the best price I have seen it online for is US$264.95 here at Kult of Athena, which is much more reasonable and makes it a worthwhile buy.